Are technical and creative translations always worlds apart? Specialization is necessary for translators, but so is flexibility. A technical manual and a marketing brochure seem to lie at opposite ends of the translation spectrum. One is dry, acronym-laden, and requires subject matter research; the other is dynamic, possibly pun-filled and requires a creative approach. One values accuracy and clarity above all else, while the other prizes emotional resonance with the target audience. These important differences are precisely why translators typically specialize in a specific area such as literary, technical, or legal texts. Yet, translators do sometimes deal with content outside their area of specialization. Often, this is because they face content that does not easily fit within an established category. White papers, for example, are marketing documents that delve into rigorous technical explanation at points while using powerful, persuasive language to engage and inspire the widest possible audience at others. So what shared skills are there between technical and creative translators that makes it possible for them to be flexible when duty calls? Translators are both consumers and producers of the texts they deal with. They read and digest a text in one language intended for one audience, then reproduce it in another for a completely different audience. Competent translators must become adept at identifying where changes are needed to render a text more suited to its audience. A good translator reflects on their experience as a stand-in audience member when they read the source text, using this to inform their writing in the target language. When working flexibly with different kinds of content, this means that translators will be quick to identify who their new audience is, and, if this new audience is unfamiliar, ask the right questions to fill any gaps in their knowledge. One thing technology and language have in common is that both are constantly evolving. Technical translators are reminded of this fact when they deal with user guides or other documentation for products that feature groundbreaking innovations and the new terms coined to explain them. Translators working with creative content are reminded of this when they witness source-text copy that uses familiar words in an unfamiliar way in the search for the most impactful expression. In other words, translators routinely have to cope with ideas and expressions that are new to them, no matter how specialized they are. Being able to translate successfully when faced with the unknown comes down to effective research, which could include grilling subject matter experts (SMEs), perusing dictionaries and encyclopedias, and reviewing other literature on the topic. Sometimes, even the most meticulous research process can yield limited results. Lack of context is one of the greatest frustrations a translator can face, but it is an issue that every translator must face eventually. After all, if sufficient material already existed in the target language on a given topic, one would have to ask why they were translating this material in the first place. The confounding extract might be a complex feature of an even more complex technology, or it could be an unfamiliar idiom with its origins in an obscure historical anecdote. In these cases, the ability to think beyond the text—to conceptualize an intricate system, or to watch a story from history play out in the mind’s eye—is what enables translators to get inside the mind of the original writer and fill the gaps in their knowledge. Translators may be specialists in their area, but they are rarely SMEs. To guarantee quality work, a translator’s expertise lies in their approach, making sure that all relevant considerations are factored in at the right point in the process. This process might begin before the translator dives into the source text. What kind of text is this, and is it the full text? What medium will it appear on? Asking questions like these helps translators clarify practical issues before they start, such as division of labor and use of CAT tools. Similarly, an experienced translator’s process doesn’t just end once they have finished writing. Rounds of editing, reviewing and proofreading are always necessary to ensure that the right input from the right people is represented in the final form of the target-language text, and that the text has been considered on all levels: as a translation, as an original text in the target language, and as polished content suitable for publishing. A standardized process for evaluating, executing, and completing translation tasks can help both individual translators and those working as part of a team deal with a diversity of content, while ensuring the right ideas end up where they need to be. 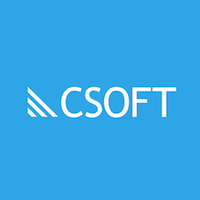 CSOFT’s Global Communications team specializes in creating top-quality content written directly in target languages. Our unique team of native speakers consists of experts from a broad range of disciplines including marketing, journalism, PR, telecommunications, computing, life sciences, and design. By only employing highly-experienced content specialists native to your target markets, we ensure your brand’s message is effectively communicated to all customers around the world.